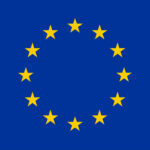 Eight industrial doctorate research fellowships are offered within the framework of PHILHUMANS: Personal Health Interfaces Leveraging Human-machine Natural interactions, a project funded by the European Union’s Horizon 2020 research & innovation programme under the Marie Skłodowska-Curie – ITN, Industrial Doctorate (GA n. 812882). PHILHUMANS is an international, inter-sectoral, interdisciplinary project providing Marie Skłodowska-Curie PhD Fellowships to 8 Early Stage Researchers (ESRs), with the potential to become the leaders of tomorrow innovative Artificial Intelligence (AI) and establish user interaction with their personal health devices. More specifically, the PHILHUMANS research program will investigate novel AI methods for human-machine interaction in the personal health domain through a well-designed and well-structured research training programme. It will require the creation of a blend of interdisciplinary understanding of personal digital assistant, cognitive computing, (deep) ML, (multilingual) NLP, advanced Computer Vision, Big Data, within the inter-sectoral academic, medical and industrial environment of the beneficiaries and partners. The PhD students (also indicated as Early Stage Researchers- ESR) will collaborate within the PHILHUMANS ITN research program. Number of available positions: 2 positions (ESR6 & ESR8) as listed in their respective pages. ESR6 will be enrolled at the Doctoral School of the University of Catania. Degree: Master degree or equivalent providing access to PhD programs. See attachment for required degree for each position. Language: English proficiency must be attested either through a previous English language diploma, or an internationally recognized proficiency test (at least C1 level of the Common European Framework of Reference for Languages i.e. IELTS, IBT, TOEFL or Cambridge). Career: When starting their contract (June, July 2019), selected researchers should be within the first four years of their careers. This means being both within a four years window following their most recent graduation and not having been awarded a prior doctoral degree so far. Mobility: At the time of recruitment, the researcher must not have resided, or carried out his/her activity in the country of the hiring institution for more than 12 months in the 3 years prior to recruitment date. Application: Complete and timely submission exclusively via the PHILHUMANS on‐line application system. Documents submitted must be in English. If supporting documents (e.g. letters of academic references and scan of degree qualification) are not in English, they must be submitted together with a certified translation in English). Please note that, in addition to the above mentioned eligibility criteria further essential or desirable requirements are detailed for each PhD position (see attachment). The hiring process will be managed by the partner’s own HR departments. Candidates can apply through the PHILHUMANS website, via the Euraxess portal or via local partner recruitment channels. The selected candidates will be invited to apply for the position through the partner organization that is in charge for hiring the candidate. Applications must be sent exclusively in English. scan of the degree qualification, with certified translation in English (if the degree qualification is not in English). Declaration of Honour according to the template available in this link. (OPTIONAL) any further and relevant supporting documents (e.g. research publications). Candidates possessing the relevant requirements, may opt for applying for one or more positions. If candidates apply for more than one position they are required to submit one application for each position. Enquiries can be sent to the relevant ESR supervisor(s) via email.